At St. Armands Baking Company, we understand the importance our customers place on knowing that their bread purveyor is dedicated to high standards. That is why we work hard each and every day to achieve and maintain the most coveted certifications recognizing these standards. In addition, our professional affiliations also serve to enhance our ability to achieve excellence. Here are a few of the certifications and affiliations that help us maintain the highest food safety and quality standards available on the market. 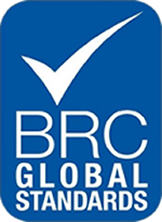 The BRC Global Standards are a suite of four industry-leading Technical Standards that specify requirements to be met by an organisation to enable the production, packaging, storage and distribution of safe food and consumer products. Originally developed in response to the needs of UK members of the British Retail Consortium, the Standards have gained usage world-wide and are specified by growing numbers of retailers and branded manufacturers in the EU, North America and further afield. Certification to a Global Standard, which is achieved through audit by a third party Certification Bodies, reassures retailers and branded manufacturers of the capability and competence of the supplier, and reduces the need for retailers and manufacturers to carry out their own audits, thereby reducing the administrative burden on both the supplier and the customer. Built on the principles of clear risk-based requirements, informative report formats and auditor competence, the Standards continue to evolve with input from a wide base of international stakeholders. Managing Risk and Strengthening Reputations. We are committed to protecting the safety of the global food supply chain and delivering high value educational and technical programs. AIB provides Food Safety Inspections, Audits, and Certifications,Food Safety Education, and Research & Technical Services. Our renowned School of Baking offers the best educational experience in the baking industry to students from North America and around the world. The commitment of AIB International's staff to provide quality service for every client has secured leadership positions and a reputation for effectiveness and integrity. 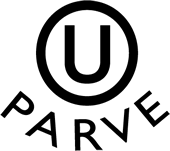 For over 80 years, the Orthodox Union has set the bar for the highest standards of kosher certification. Today, the OU - a community based organization - supervises hundreds of thousands of products in more than 90 countries throughout the world. Accepted globally, OU Kosher is the clear leader in global kosher certification. St. Armands Baking Co. is OIA Certified. 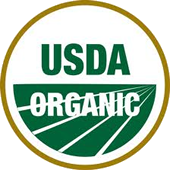 OIA North America is a third party verification and certification agency which is accredited by the USDA National Organic Program. Is a Washington, D.C. based national trade association of over 400 mostly family owned wholesale bakeries and allied industry trades. The Association was founded in 1968 to protect the interests of independent wholesale bakers from antitrust and anti-competitive mergers and acquisitions; pressure Congress to support market-oriented farm commodity programs; seek representation to consider federal labor, tax and environmental law. The Association publishes a monthly newsletter updating Washington legislative and regulatory actions and analyzing pro-business positions impacting on wholesale baking, allied industry operations. Is among the most influential trade associations in Florida. The association was established in 1946 to represent the restaurant industry. Since that time, the scope of FRLA's representation has expanded to include the entire hospitality industry including lodging establishments, restaurants and thousands of suppliers to the industry. The association counts among its members some of the largest businesses in each of these categories. Was once again recognized as the largest Chamber in the Tampa Bay Region according to a list published on April 13, 2012 by the Tampa Bay Business Journal. The Manatee Chamber, which is 5-Star Accredited from the U.S. Chamber of Commerce, has 2,004 businesses and organization as members. Advantages to becoming a Member of FRPG are very simple, it comes down to 2 important benefits: a reduction in product costs and receiving checks for rebates. By becoming a Member of FRPG, you will now be able to receive the same pricing benefits as the multi-store chains. By uniting as one purchasing group, we secure discount pricing contracts with some of the largest vendors nationwide. Savings start immediately and you can literally watch your bottom line grow.